Below is a new track called "Serum" from Kurt Vile's collaboration with longtime pal Robert Robinson, a.k.a. Sore Eros. It will appear on a three-song EP entitled Jamaica Plain that was actually recorded ten years ago when the two first met and just recently surfaced. 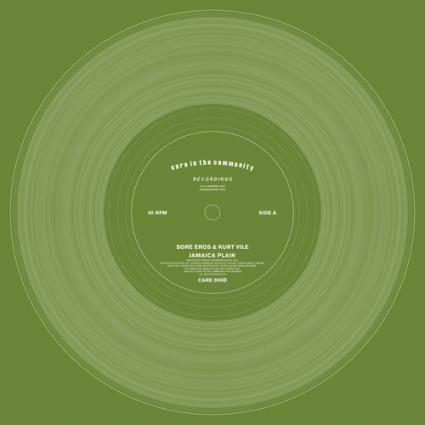 The record will be released digitally and on 10" vinyl on November 4 via Care In The Community Recordings. Vile will be playing Philly next when he headlines Union Transfer on Staurday, October 26. 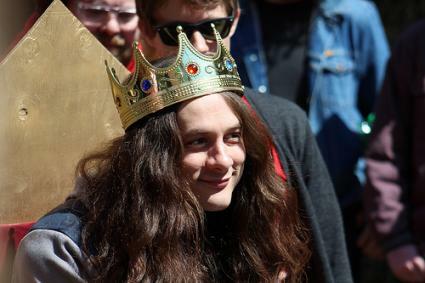 In case the rain kept you from making it out to City Hall for "Kurt Vile Day," here's a video of Vile of receiving the Liberty Award and performing "Wakin On A Pretty Day." (Where was Mayor Nutter for the presentation? 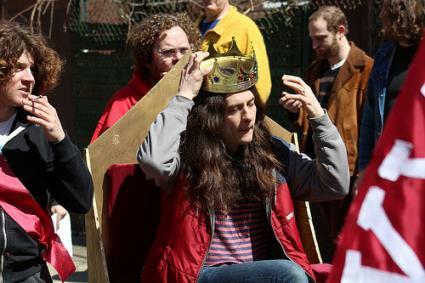 We guess that he was busy figuring out how to sell off the future of Philly's underprivileged children.) Special thanks to Bob Sweeney for sharing. Enjoy! 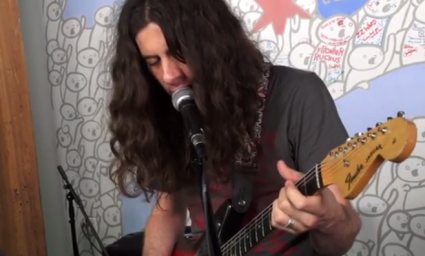 Check out Kurt Vile rapping and getting noisy for a cover of Nine Inch Nail's 1989 classic "Down In It" for the A.V. Club's live cover series Under Cover below - it's pretty damn dope! You can also catch him performing solo tomorrow evening during happy hour for free at the City Hall Courtyard for Kurt Vile Day.